What do you see wrong with this picture,,,,if you can spot what’s wrong with this engine,,,,then you can fix this car,,,,,the customer declared the car has a rough running at idle,,,,thank goodness the customer decided to put oil inside his engine,,,,and he forgot to put the oil cap back on,,,,,which caused a lean mixture misfire on both banks. This entry was posted in Uncategorized and tagged lean misfire, Oil cap. Bookmark the permalink. Hello bmwtechnician, since there is no page regarding an oil cap I thought I would ask it here. I was going to a dealership to buy a car and when I opened the oil cap, I see white/yellow creamy stuff right under the cap. Is this normal? It looks like a blown head gasket but I don’t know if it is. I wish there is some way I can show you the picture. This is not my car but the cream on top looks like it. Good thing oil and coolant look like their normal colors. If it is normal then I am happy and relieved right now. Thank you for replying. You’ve been a big help! Also my oil temp gauge reads that the oil temperature is almost 250 degrees the entire time. This seems really hot, is this normal temp? What is the hottest it should get on the oil temperature gauge? Am I missing something or does the 2011 328i coupe only have an oil temp gauge but not a coolant temp gauge? Yes that’s all it has is a oil temp,,,,,BMW doesn’t want you to know how hot the coolant gets. Hello bmwtechnician, I was driving normally today and taking it easy on the car. City driving with no traffic. It’s only 40 degrees outside. However when I looked at the oil temp it was above 250. This freaked me out. Is this normal? This is on a N51/N52. I instantly took a picture. The temp actually went up a little higher than the picture. https://postimg.org/image/8ut0tf10j/ Thank you. It should be at the 250f,,,,,but it shouldn’t go past that. Someone put green coolant in the car instead of BMW blue coolant. Would this cause the car to run hot? Also would 0w-40 cool the engine better? Thanks for your feedback. Hello BMWtechnician. So today I went out for a drive to get my oil temps up to operating temperature again since it was hitting 255-260 the last time I drove it. I decide to put it in sport mode and keep the revvs up a little bit. Surprisingly, the oil temp never went past 245 and the car seems to idle a tiny bit higher and smoother than ever, Any idea why this would fix itself all of a sudden after going for a hard drive? No real reason,,,,maybe that was a one time freak thing that happened,,,,,I would just keep an eye on the oil temp and see what happens. Hello BMW technician. I have a 328i with a N51 motor. Recently I got the computer updated at my dealer to correct an idle problem. Every since the update when I start the car when cold, the idle would bounce up and down at 1200 rpms for a second in park. This only happens for a little bit when it is warming up in park. Sometimes my car would long crank too. SES light is on. I got BMW codes 2A7A Exhaust cold start and 2A7C Intake cold start . Also got DTC P052B – Cold Start ‘A’ Camshaft Position Timing Over-Retarded Bank 1. Any idea what is happening? Its nothing related to he programming,,,it just one of those things that happened at the same time,,,,sound like something with the vanos units or vanos solenoids are acting up,,,,hard to say without seeing what’s going on. Okay. So I changed the Intake Camshaft position sensor. I also cleared all codes. The same thing happend next morning on cold start up with the idle bouncing. However for the first time it set a different code. 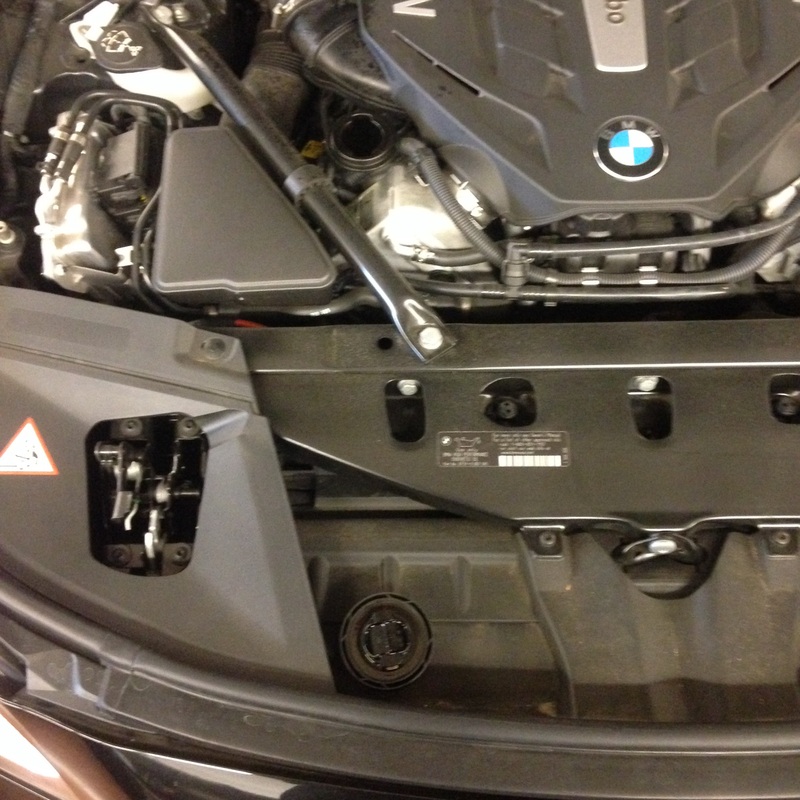 The BMW code 2A7C intake cold start cold went away. Only the 2A7A Exhaust cold start code came back. I also got DTC P054B – Cold Start Exhaust ‘B’ Camshaft Position Timing Over-Retarded Bank 1.Before I had DTC P052B – Cold Start ‘A’ Camshaft Position Timing Over-Retarded Bank 1. Do you think that the intake cam sensor fixed half the problem? Do you think the other code would go away if I change the exhaust cam sensor? Have you ever seen 2 sensors go bad at the same time? I appreciate your help. Thank you! Okay. I actually just replaced both solenoids last month. It is an aftermarket Dorman brand. Would that cause a problem? Hello Bmw technician. You were right! I put both my old VANOS solenoids back in, cleared codes and the problem and code never came back again! The new Dorman brand solenoids lasted for 2 weeks before it got defective. I’m glad everything is ok now.